Whether you are looking for top-quality binoculars, or the advanced technology of erect imaging provided by today’s spotting scopes, Carolina’s First Defense Pro Shop has what you need! 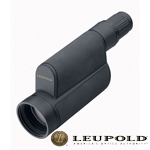 For birding, hunting, or professional marksmanship, spotting scopes provide more optical power and greater image clarity than binoculars, and can be either gun mounted or tripod mounted, depending on your scope needs. 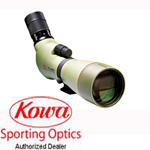 We offer a wide variety of scopes and binoculars from Kowa, a complete scope and tripod kit in its own case from Leupold, and a selection of tripods on which to mount your scope of choice. We have Kowa mounting adapters too! Be sure to shop all of our first-rate accessories for your weaponry needs, and place your order with us today! Thank you for shopping Carolina’s First Defense Pro Shop!